tips and tricks from livestrong.com to help you stay active on the road. Summer brings more vehicles on the road, and more safety measures for professional truckers. Making sure you get a chance to move around outside the truck can help keep your blood pressure low. November is finally here, which means colder weather is sure to be on its way. With meteorologists expecting another cold and snow-filled winter season, truck drivers as well as residential drivers, must be smart when navigating the roads this winter. Should a driver become careless, serious crashes could occur. 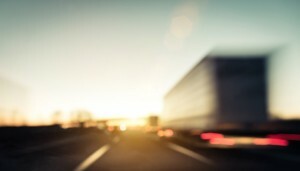 Here are some ways to ensure safe truck travel. Dress in warmer layers when traveling. This will keep you warm should you experience a break down. Pack an emergency kit before travel. This should include a first aid kit, jumper cables, ice scraper, flashlight, batteries, and tow chain. Inspect your vehicle fully before travel. This includes replenishing all vehicle fluids as well as checking tire pressure and tread. Immediately call for help. Use either a cell phone or radio to alert someone of your location. Never fall asleep while waiting for help. Frost bite and hypothermia can occur more quickly once you fall asleep. Never leave your vehicle. Attempting to walk for help could lead to frost bite and hypothermia. If you can safely determine if the exhaust pipe is clear, the engine should be run for about ten minutes every hour. This will help circulate heat without using gas. Every hour, crack your window to allow fresh air to enter the truck cabin. While some may see truck driving as an immutable, unchanging profession, the truth is that the industry is quickly headed in many different and exciting new directions at breakneck speed. The successful truck driver of 10 years from now may be a very, very different kind of person and employee than the successful truck driver of today. According to Market Research firm Frost & Sullivan’s Sandeep Kar, the truck driver of the future will be younger, more highly educated, have a greater amount of technical acumen, and be paid significantly more than the truck drivers of today. Kar made these industry predictions at the Commercial Vehicle Outlook Conference, part of this month’s Great American Trucking Show. It’s not incredibly surprising. As navigation and transportation technology changes rapidly, so too must the workforce. Younger drivers with more technological experience will inevitably have a leg up when it comes to learning and managing new technologies like partially self-driving trucks. Despite these changes, the driver of the future will still probably be fueling up with diesel. While there is a consistent push to use more natural gas, it’s availability, now and for the conceivable future, is limited, particularly outside the United States. Still, Kar predicts that natural gas will see steadily increasing use within the US, albeit at a slow rate. As for the trucks of 2022, they will undoubtedly be more fuel-efficient, leave a smaller carbon footprint, be safer, and have more built in “smart” technology, allowing communicate automatically to other drivers, through social media, and other infrastructures. These advances will help drivers boost productivity immensely and offer up to the minute ETAs. Kar also said that there is an increased industry interest in failure detection systems that can detect and predict impending failure of any individual part of a truck, warning the driver, home office, and contacting the closest repair service simultaneously and automatically. Here at Evan Transportation, we strive to stay current with shifting industry trends and technology to ensure that your product is being moved in the most-efficient and safest way possible. We hire professional truck drivers with excellent driving records, and maintain a fleet of trailers and vehicles that are reliable and ready to roll and are a top-notch freight provider with high-level customer service and a track record of dedication and industry excellence. On May 4th, 2014, 100 truckers from the Northeast and Midwest met behind the Mack Truck Museum in Allentown to compete in the Lehigh Valley Truck Driving Championships Tune Up Drive. The competition raises money for scholarships for high school students looking to enter the field of transportation. 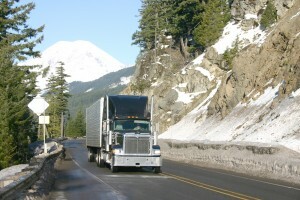 Trucker skills are tested in areas such as turning, parking, and backing up. There are about seven problems set up on a course, each having the potential to award 50 points. Cones and lines are used to help judges score the truckers while they complete the problems. Points are deducted whenever a line is crossed or a cone is knocked over or flattened. The problems used during the competition are based on real life problems truckers’ face during their day to day assignments. Some of the problems truckers faced were making tight turns and parking on a scale. There are three different axle categories, 3-axle, 4-axle, and 5-axle that the truckers compete in. Winners for this year’s competition included Roland Boluc from FedEx Express and Fred Schenk of Sunoco. 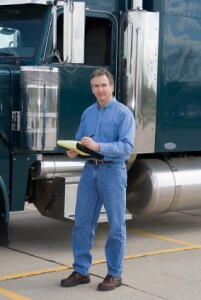 Most of our truckers are TWIC certified and have a pristine driving record. They also undergo a background check. Our employees include transportation and trucking veterans who understand and relate to the industry and will help provide solutions to any problem effectively and quickly. Evan Transportation has been in the transportation business for over 20 years and we use our skilled truckers to help build long term relationships with our customers. We provide same day pick up and delivery, so you can rest assured your products will arrive to their destination in a time efficient manner. 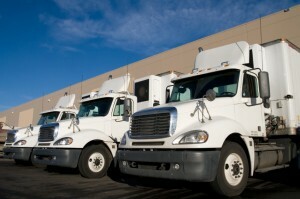 We also offer A-1 Trailer and Container which specializes in providing Baltimore with its trailer and container needs. Give us a call at 443-673-3365 or complete an online contact form here. Our office is located at 4800 Belle Grove Road, Baltimore, MD. You can also check us out on Google+, Facebook, Twitter, Pinterest, and LinkedIn.